A grouping of Zanu PF affiliated tertiary students have submitted a list of demands they want President Emmerson Mnangagwa to address in return for votes in the 30 July harmonized elections. Speaking at the National Students Convention in the capital yesterday, Zimbabwe Congress of Students Union (ZICOSU) President, Takudzwa Gambiza requested Mnangagwa to look into the problems faced by students in accessing loans and grants, harassment and inadequate accommodation. In January, the government approved a tertiary education loan scheme but the facility has not been fully functional as financial institutions continue to make restrictive requirements. “We want payment plans that are reasonable, and we want access to the loans,” thundered Gambiza. Authorities at tertiary institutions also came under scrutiny as students questioned the rationality of blocking them from attending lectures and in some instances end of semester examinations for failing to clear their fees balances. “We love our administrations at tertiary institutions, we appreciate them but at times they act irrationally, in most instances, we have our students being chased away from class because they don’t have fees that are intolerable, we cannot accept that,” added Gambiza. Students also expressed dissatisfaction with the Zimbabwe Man Power Development Fund (ZIMDEF) on how they are using funds meant collected from corporates. Last year, former higher and tertiary education minister, Professor Jonathan Moyo and his deputy Godfrey Gandawa came under fierce criticism following allegations of misusing ZIMDEF funds. In his presentation, Gambiza challenged the government to look into students attachment conditions adding that levying students on industrial attachment was unfair. He accused tertiary institutions of refusing to effect the 40% attachment fee reduction despite government approval to the effect. ‘We have administrations in our institutions that are refusing to implement the 40% reduction on attachment. We don’t know what influences them, what they drink, what they smoke,” said Gambiza.. He encouraged the government to speed up the implementation of attachment reforms. The student body advocated for student teachers’ teaching practice allowance to be reinstated at $320 after the ministry of Finance slashed the amount by two thirds last year. In responses, President Mnangagwa appreciated the challenges students tabled before him saying their demands are rational but are treated otherwise. 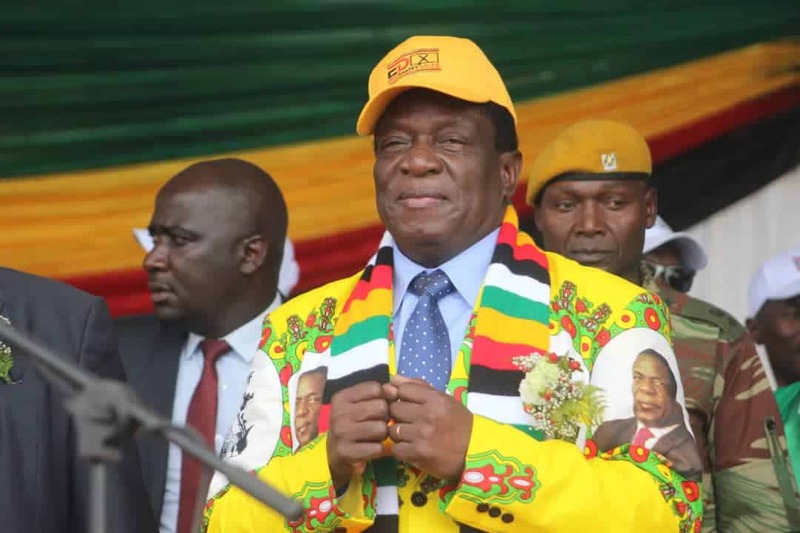 To map the way forward, Mnangagwa called the students executive, higher and tertiary education authorities, and central bank officials for a meeting to his offices to resolve young academics problems. President Mnangagwa said chasing away students from class and examinations was a violation of government policy. “Chasing away students from exams is against government policy,” he added.